Martin's Cyonara Lawn and Garden Insecticide contains the active ingredient Lambda-Cyhalothrin which offers control of most nuisance pests with long residual control. 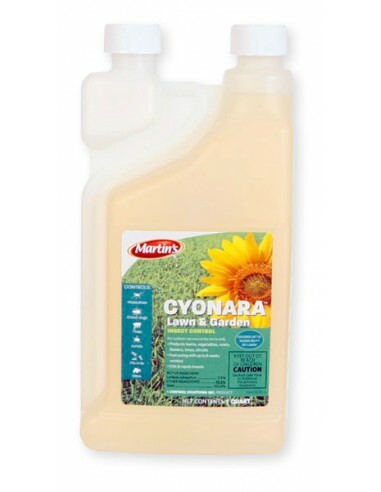 Excellent for use outdoors, Cyonara covers up to 16,000 square feet of lawn, and is fast acting with up to 8 weeks residual control of many surface and sub-surface insect pests ! Can be used indoors, outdoors, around homes or commercial establishments, agricultural areas and food handling areas. Cyonara is a concentrate that makes many gallons of finished solution. The yield of this product depends on the type of pest you are trying to control. Apply .5 - 2.0 oz in 2 gallons of water. (Ornamental Trees, Shrubs and Flowers) - For use on ornamental trees, shrubs and flowers, such as, but not limited to: Ageratum, Ash, Aster, Arborvitae, Arizona Cypress, Azaleas, Begonia, Birch, Boxwood, Box Elder, Camellias, Cherry (ornamental), Non-bearing Citrus, Chrysanthemums, Carnations, Coleus, Common Ninebark, Conifers, Douglas Fir, Elm, English Ivy, Euonymus, Exacum, Weeping Fig, Fir, Gladioli, Gold Bells, Hawthorn, Holly, Honeysuckle, Hypoestes, Ivy, Juniper, Lilac, Locust, Maple, Marigold, Mimosa, Mock Orange, Nannyberry, Oak, Orchid, Palm, Pansy, Pea Shrub, Petunia, Philodendron, Pine, Ornamental Plum, Poinsettia, Poplar, Tulip Poplar, Rhododendron, Roses, Snapdragon, Snowberry, Spruce, Taxus, Willow, Zinnia. (Outdoor Vegetable Gardens) - Numerous damaging insect pests. See label for complete list of treatable vegetables and insect controlled. 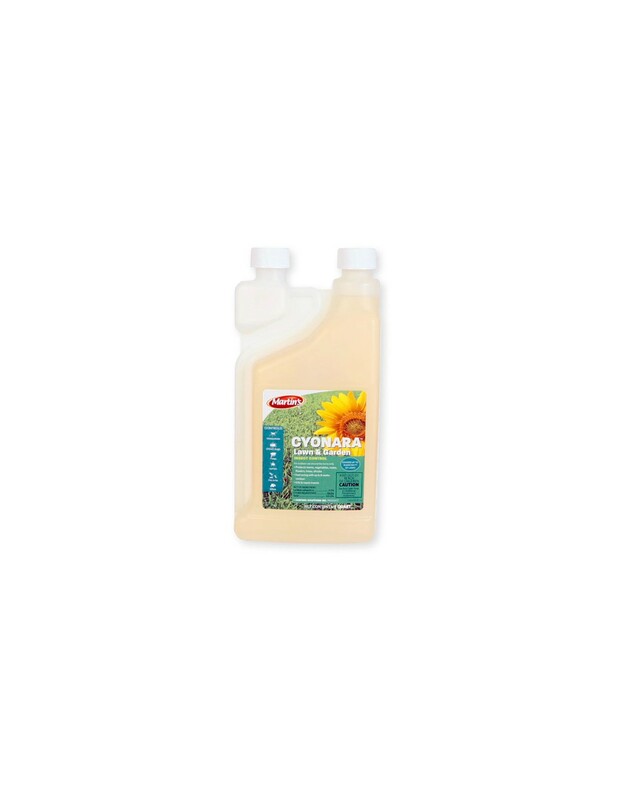 Cyonara Lawn and Garden Insecticide Manufacturer: Control Solutions, Inc.